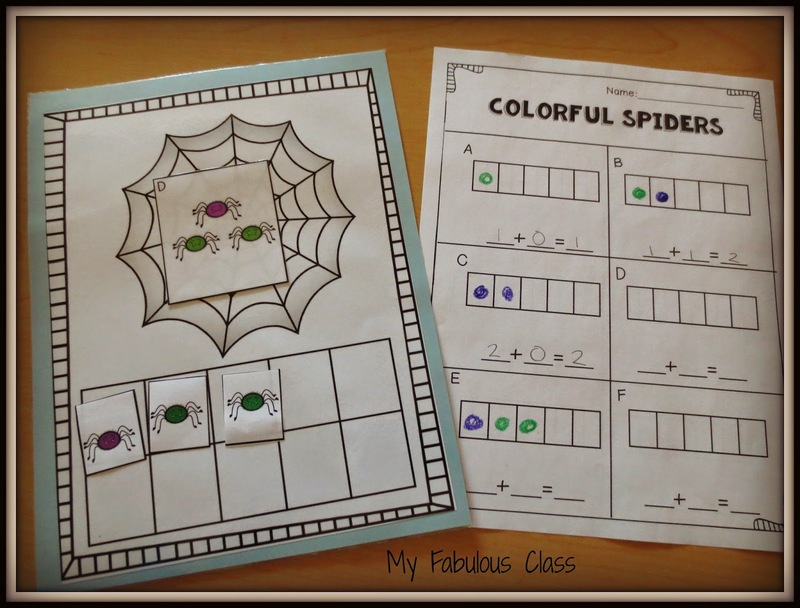 My Fabulous Class: Spiders and Freebies, Oh, My! I LOVE this time of year. 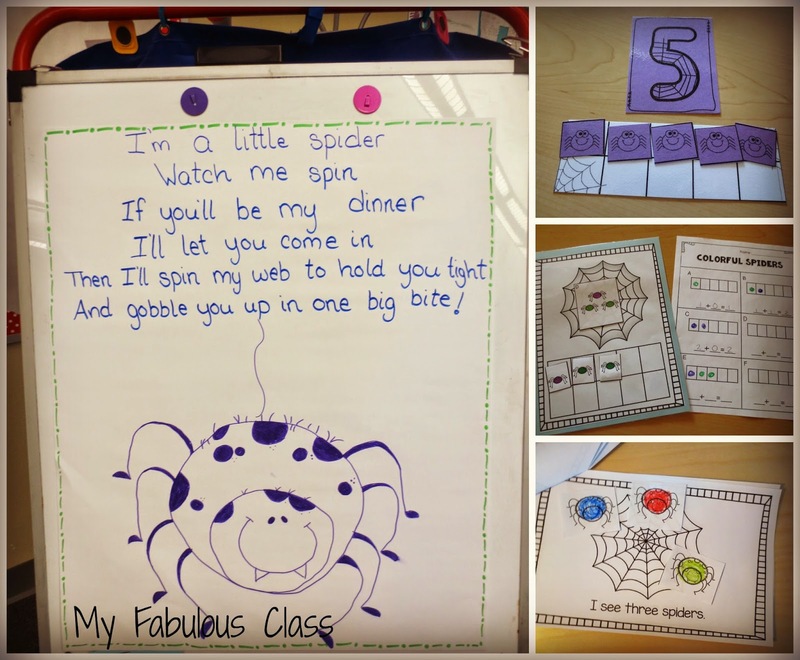 It is so FUN to teach about spiders and pumpkins. I am running behind though.I thought I would get to spiders last week and pumpkins this week. Oops! 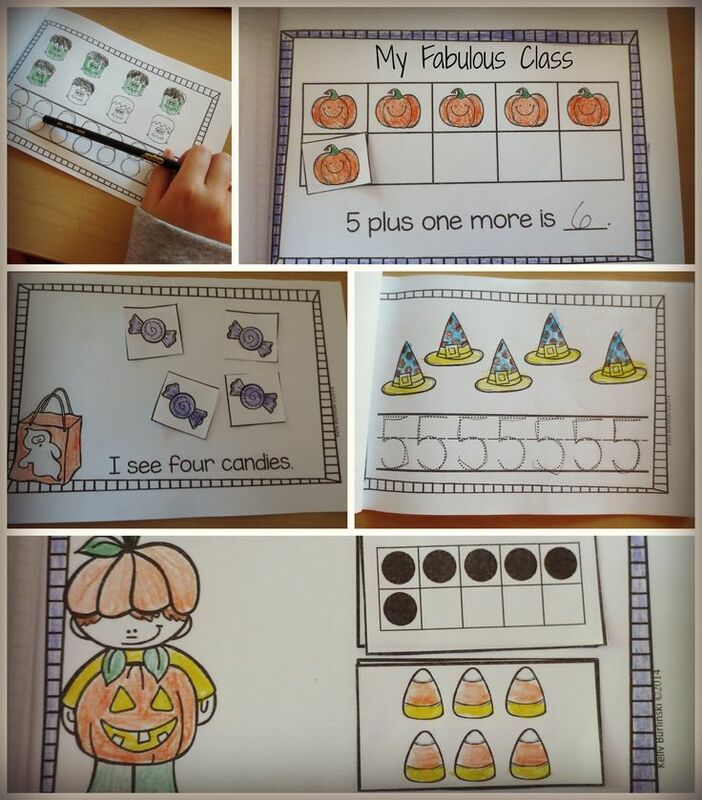 We will continue to learn about pumpkins next week. It's still fall, right? 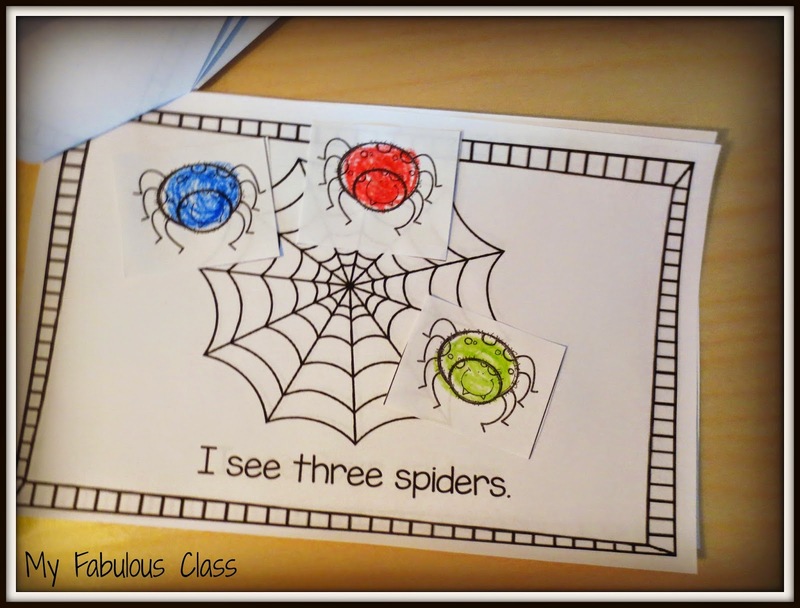 We have been learning all about spiders. We have read non-fiction text and fiction text. 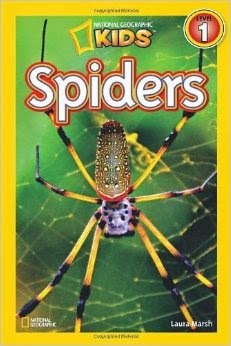 I LOVE all of the National Geographic Kids Books. 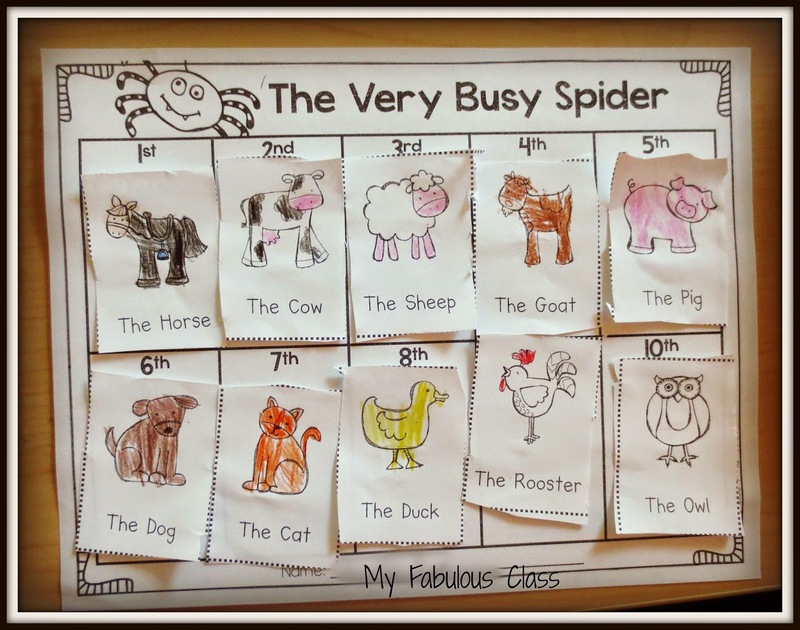 The Spider one is no exception. They all include useful vocabulary and amazing photos. You can get them at Amazon or Scholastic. 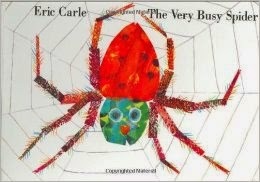 The Very Busy Spider by Eric Carle is always a class favorite. 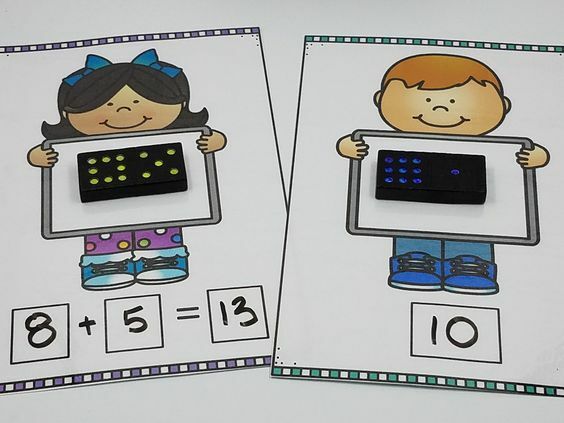 The sequencing page is from Vickie Plant and you can get it here. 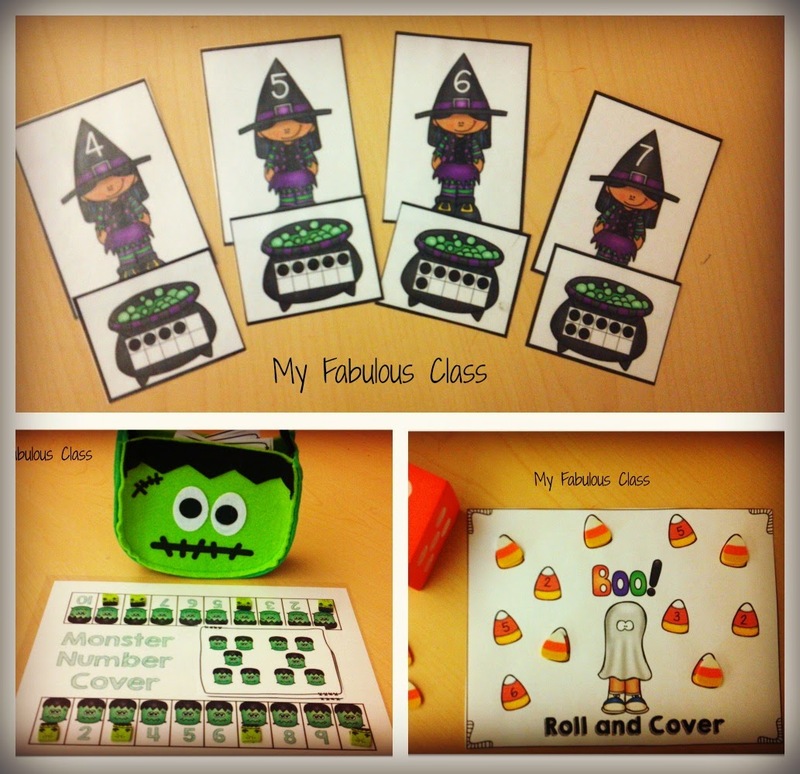 Her Fall Sequencing Pack is for three stories and has both cut and paste and color images. LOVE IT! 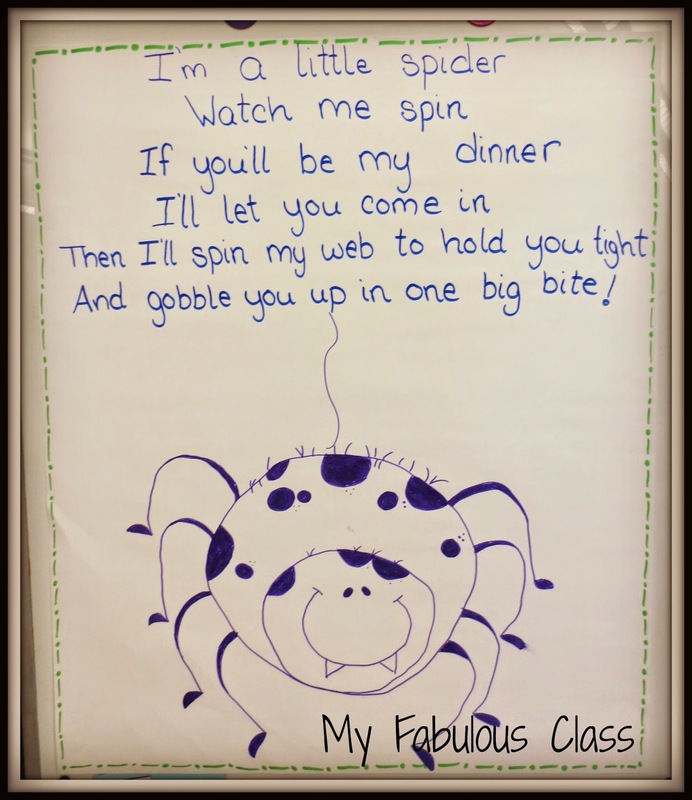 How cute is this poem? I got the idea from this pin. I didn't actually click on it because it says it is spam. 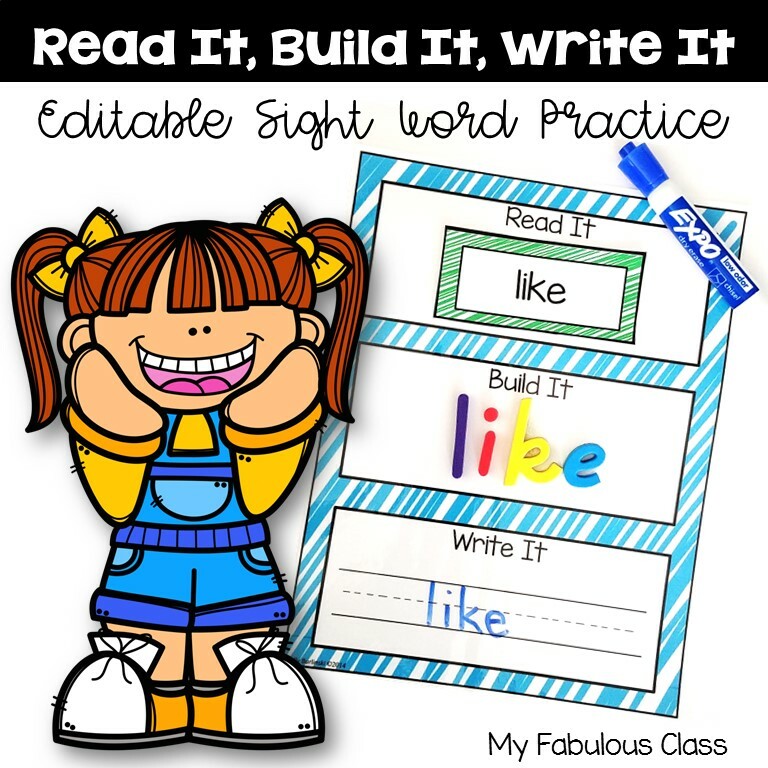 We went on the highlight the rhyming words and found sight words. 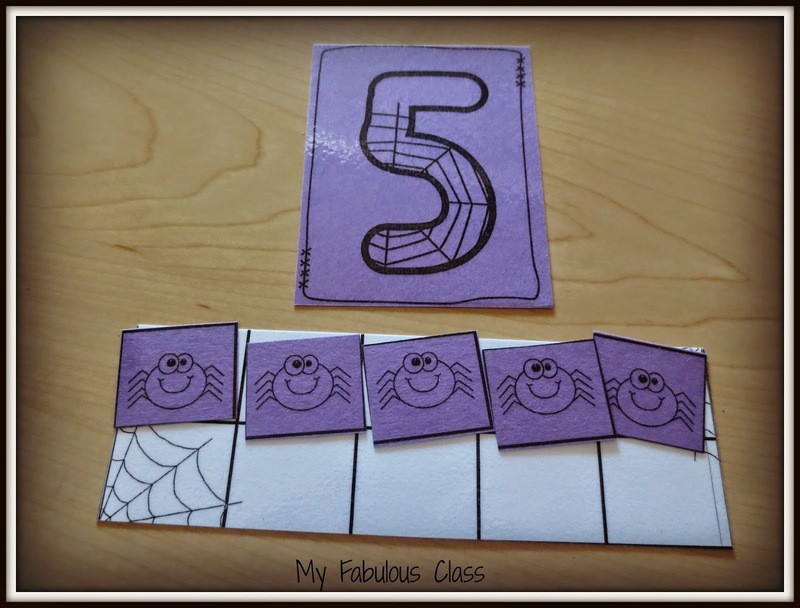 I made this Interactive Spider Book to work on number sense 1-5. You can get it FREE here. 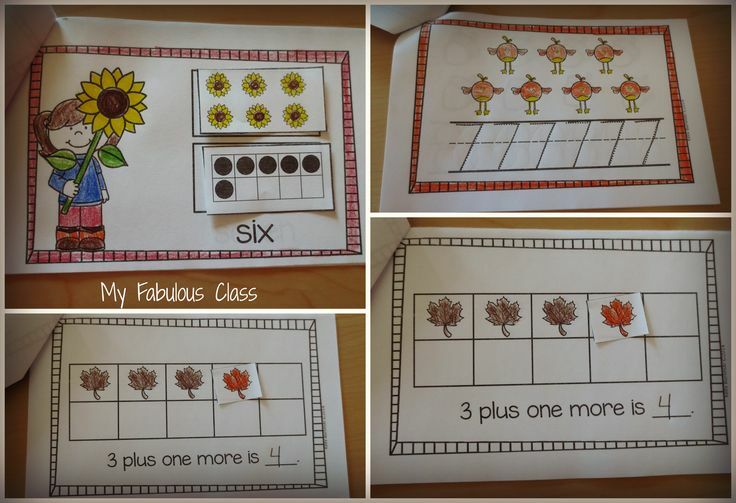 This book is really easy to make. Print, cut in half, staple. You could use it tomorrow if you want to. 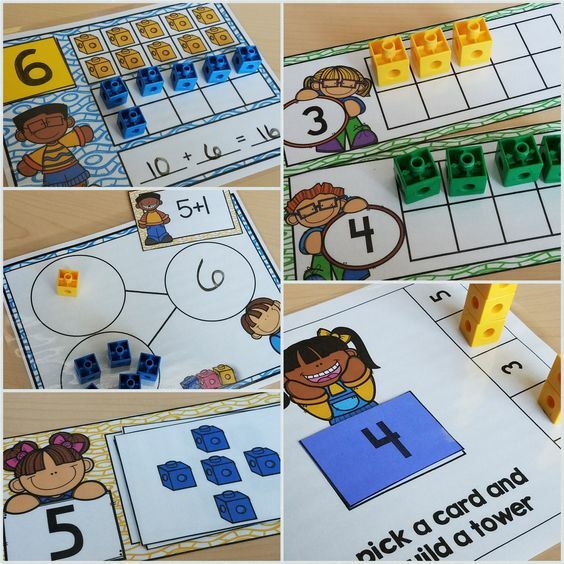 Looking for more interactive math books? This is a FREEBIE I made last year. it came in both color and black and white. I made it in black and white to save ink. Be sure to leave me some feedback letting me know how much you LOVE it! 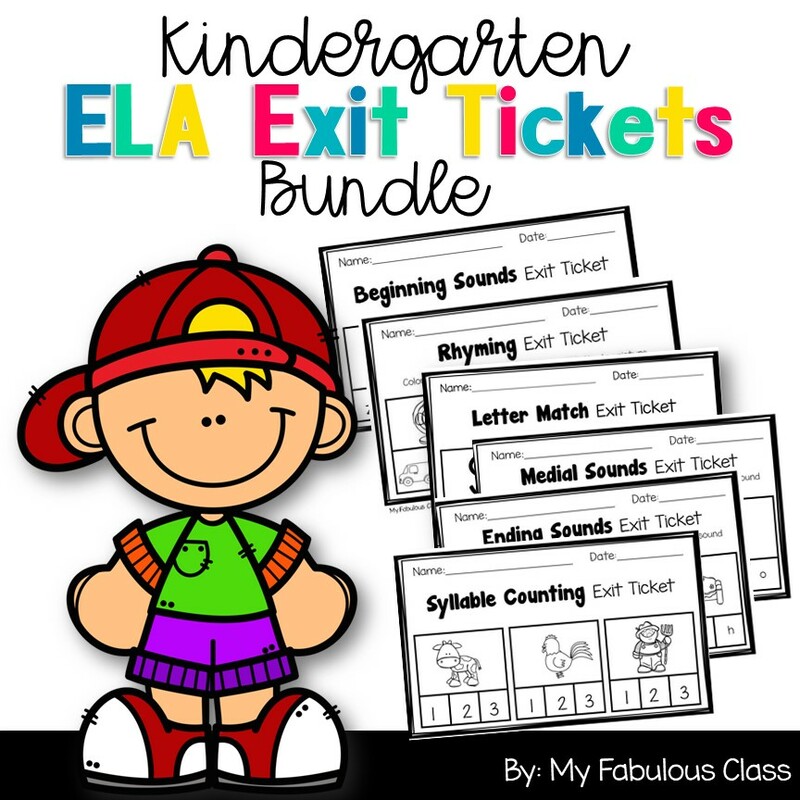 This a fabulous FREEBIE is from K is for Kinderiffic. She has several different color versions, but again, i went for black ink and purple paper. 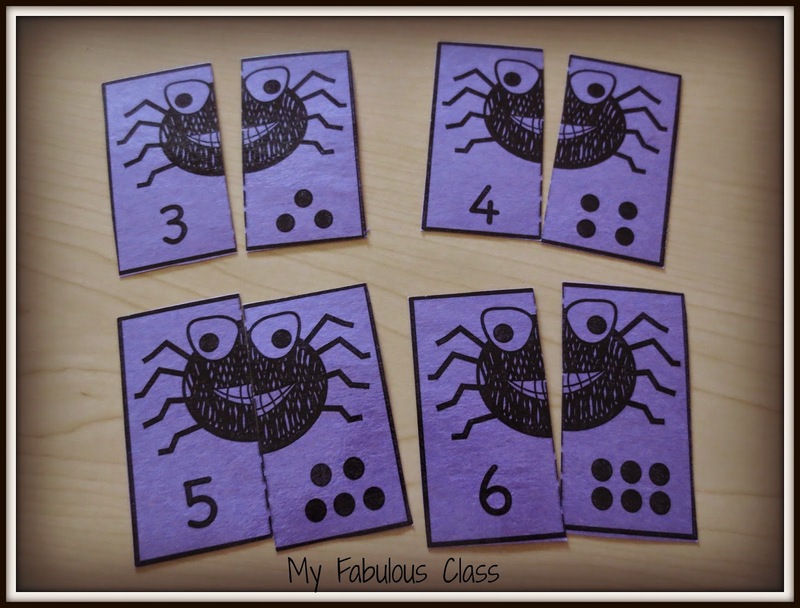 This spider activity is great for introducing addition and developing number sense. 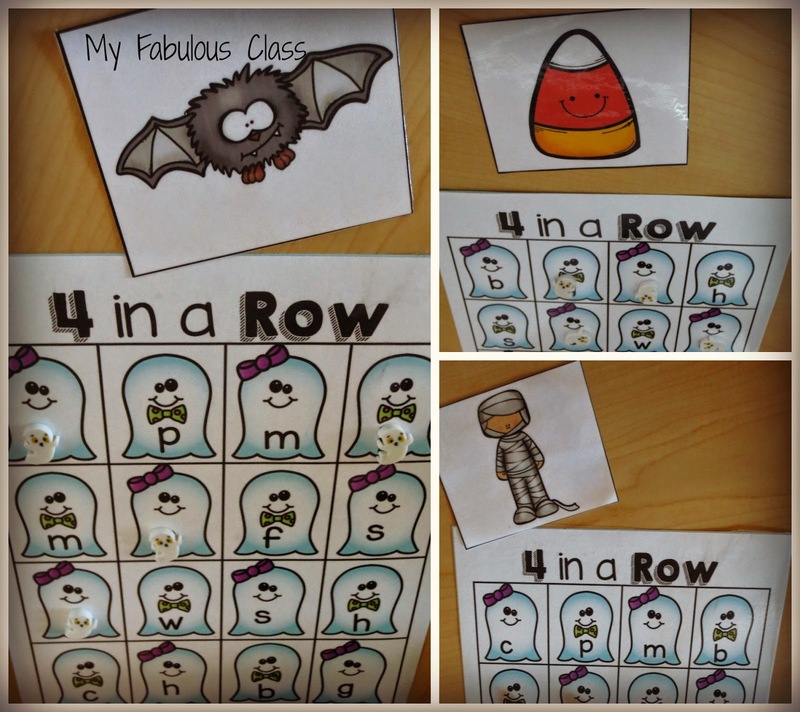 It is a class favorite right now. It is from my Spooktober Centers. These are a few more photos from my Spooktober Centers. 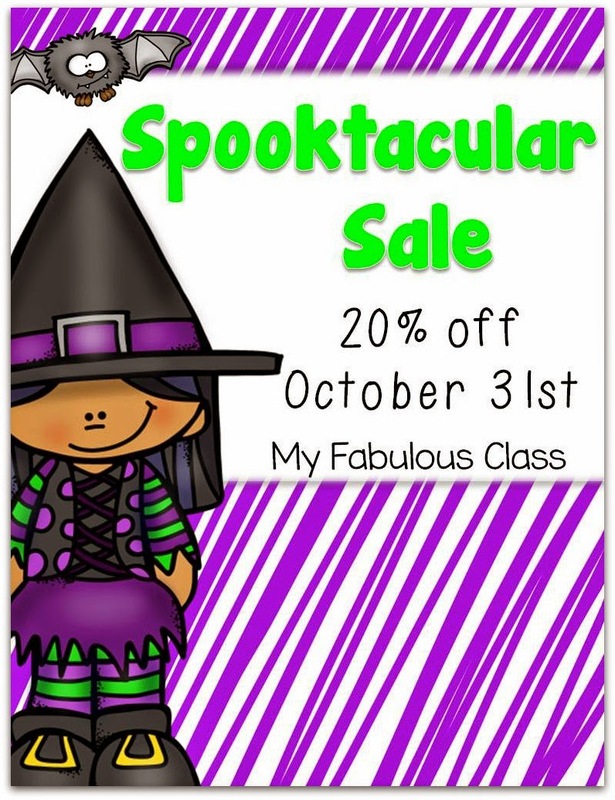 Finally, to celebrate Halloween, I am having a one day Halloween sale. EVERYTHING is 20% off starting a midnight tonight. You can go straight to my store by clicking HERE. Happy Halloween!